Your 2017 restaurant operations were more than likely impacted by waste generation, whether you knew it or not. With the busy, unpredictable holiday season behind us, it’s interesting to note whether restaurant waste volume increased or decreased with sales peaks in November and December. And more importantly, to understand why. For example, if a restaurant chain’s sales increased during Thanksgiving but saw a decrease in waste volume, waste services providers would be alerted by the changes from the restaurant’s container sensor data. This data coupled with the verified makeup of their onsite waste streams can uncover valuable insights such as waste consisting of mostly unsold product or excess inventory that’s spoiled. Restaurants can use valuable waste management data to better their operations — and provide peace of mind — in the New Year. When planning your restaurant’s resolutions, trash may not have made the initial list, but it’s never too late to revisit New Year goals. Waste levels fluctuate, causing a need for constant monitoring to ensure your services match actual needs. A restaurant manager can peek inside the dumpster to manually monitor waste levels but that is prone to human error. Data from your dumpster can tell you more about restaurant operations than you may have realized. Waste services providers can place sensors in trash and recycling containers and do the measuring and monitoring for you. Furthermore, a waste services partner can help catch inconsistencies to target issues before they may become problematic. These insights mean lower waste costs, fewer operational disruptions and higher profit margins through more informed supply chain management. Restaurants are beginning to evaluate and update their current model for waste and recycling. Why? New, connected technology is helping transform the way they do customer ordering, payment, staff scheduling, ordering of supplies and more. Including new and improved updates in your restaurant’s waste bin will ensure the same kind of ease and optimal efficiency across restaurant operations. Restaurant managers have the responsibility to look forward to 2018 trends in food, service and business models; let’s make sure hot waste topics aren’t tossed to the curb. Here are three trends impacting the waste industry that restaurant management should consider in this year’s operations planning. Food waste is practically inevitable in restaurants, but the extent to which it impacts overall operations can be controlled. Once restaurant managers understand where their waste originates, they can get to the root of the issue and minimize waste before it sits in the dumpster. Introducing best practices to cut food waste is not just environmentally friendly, but beneficial to restaurant operations, too. It is key for chefs and staff members to prepare food with the best equipment and with proper education and training to minimize food waste. For example, simply peeling too much off of a vegetable or meat before it is plated makes a difference in food waste volume. Employees must also pay careful attention when dishing out portion sizes or rushing through the kitchen or restaurant where they may spill dishes, further increasing the amount of food in the trash. Restaurant managers should also carefully evaluate inventory on a frequent basis to prevent the over-purchasing of unnecessary products. Once it is understood what your customers enjoy and order most frequently, adjust inventory or alter the menu to save you from wondering how dumpsters get full so fast. Waste audits dig into the contents of your dumpsters to reveal insights that may affect inventory control and management. Then, you can use these insights to learn how restaurant processes impact waste generation and make better informed decisions to improve efficiency. Restaurants are seeing an increase in integrated and connected technology, everything from HVAC, lighting, kitchen equipment and more. And yes, even their waste bins are getting smart. IoT technology in your dumpster is capturing operations data that the restaurant sector has never experienced before, and it can result in big outcomes. IoT’s dirty metrics allow for a better understanding of a restaurant’s kitchen, sales and customer behaviors. Kitchen operations are fast and food prep teams need to be disciplined, so your waste may uncover that prep and portion guidelines need tightened. With insights from waste technology, restaurants can better manage their staff. They can understand what waste management or recycling program processes are being followed by comparing one location with unusually high volume to a different location, and then implement necessary training to fix any issues. Gaining valuable benchmarking data from smart technology is critical for making decisions that will impact your business’ bottom line. With a data-driven approach in the New Year, 2018 success is easier to capture and achieve. China’s recent ban of 24 solid waste and recyclables is affecting the waste industry and waste generators alike. Gone are the days when restaurants could dump recycled materials and not worry about the next steps. As restaurants once felt proud for its choice to recycle, that feel-good must be shifted to the first of the three R’s: reduce. Local recycling services are overwhelmed and the volume is piling up. They may turn to landfills when their options are out. Therefore, restaurants are held more responsible for the materials and the total volume of what they are tossing. With connected devices in each restaurant’s trash and recycling containers, understanding where in the supply chain these recyclables are coming from will further allow the restaurant to make informed decisions about reducing waste. Waste services providers will also call out if there is a need to educate and train local employees on new recycling practices based on benchmarked data across all restaurants, as well as create a simple guideline for each city and county’s recycling specifications. Refining your restaurant’s recycling and waste protocol to reduce these materials, before receiving hefty fines and messy situations, is a 2018 resolution you’ll want to keep. 2018 doesn’t have to be a messy year in your dumpster. These trends will continue to impact the waste industry, and restaurants will need to address them to keep optimal efficiency. 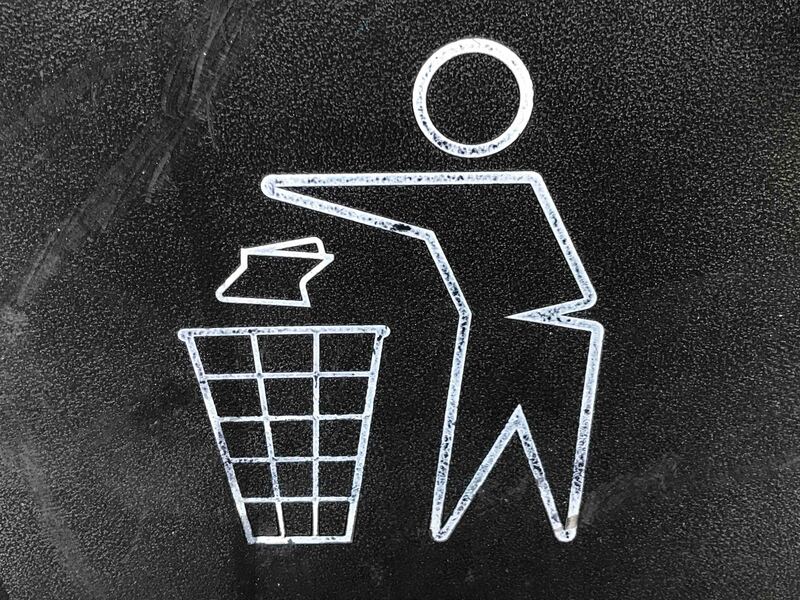 Understanding your restaurant’s waste stream and choosing to eliminate food waste, implement smart technology and think differently about recycling will change your operations for the better. 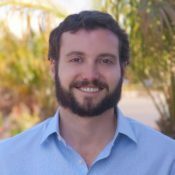 Geoff Aardsma, VP of client service at Enevo, focuses his expertise on optimizing waste collection systems and empowering waste generators to reduce their environmental impact. A diverse background in several aspects of solid waste management gives Aardsma a balanced perspective on the challenges facing the industry today.